Traveling the world at an early age, Julie + Ben met in the most unlikely of places… the crowded streets of New York City! Ben grew up in the Hamptons, his family home decorated with stunning pop art from galleries around the world. Around each corner lies a museum-quality exhibit that begs for exploration and discovery! 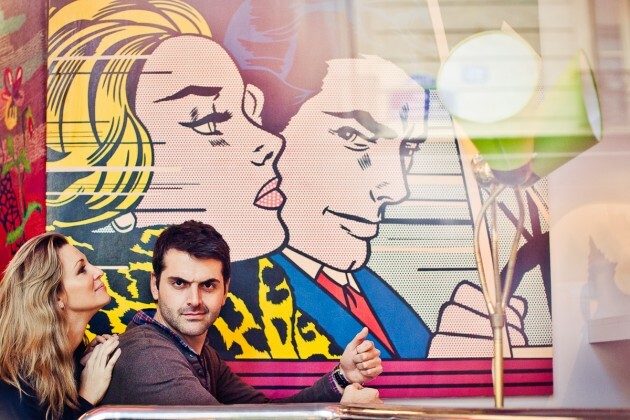 They love pop art and have even begun their own collection at their home in the City. Their playfulness together highlights the uniqueness of their art collection. Whether riding tandem bikes or cruising the hidden beaches in their classic Mercedes, this Hamptons engagement had a playful, refined and sophisticated air. Check out another one of our destination engagements HERE.